You voted FC Bayern's Arjen Robben as your Bundesliga MVP for Matchday 18. 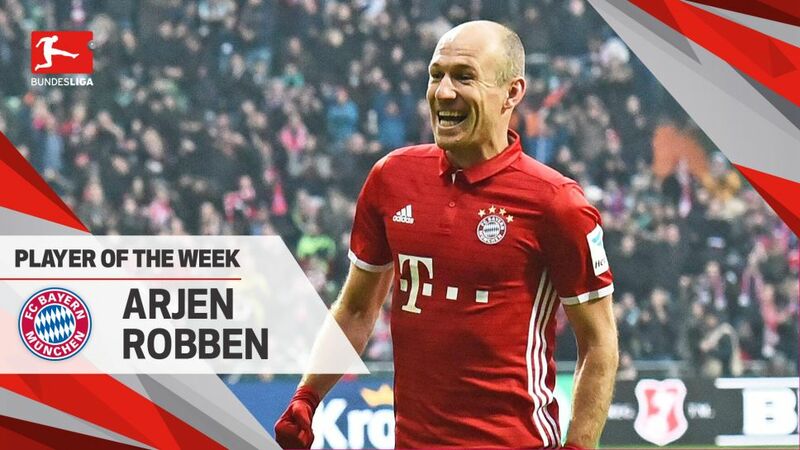 It was another virtuoso display from Arjen Robben on Matchday 18, the winger inspiring FC Bayern München to a 2-1 triumph at SV Werder Bremen. Fancy bringing Robben into your Official Fantasy Bundesliga team? Click right here to sign him up! The flying Dutchman rolled back the years with a stunning finish from Franck Ribery's cross to open the scoring after half an hour at the Weser Stadium as Bayern stayed in pole position with another victory. Despite some stiff competition, Robben did just enough to get your vote as Matchday 18 #BLMVP. Scored his sixth goal of the season in Bremen.Has now been involved in a goal every 87 minutes this term.Fired in three shots on goal, proving a constant danger. Head to the Bremen vs Bayern match centre for more on this fixture.